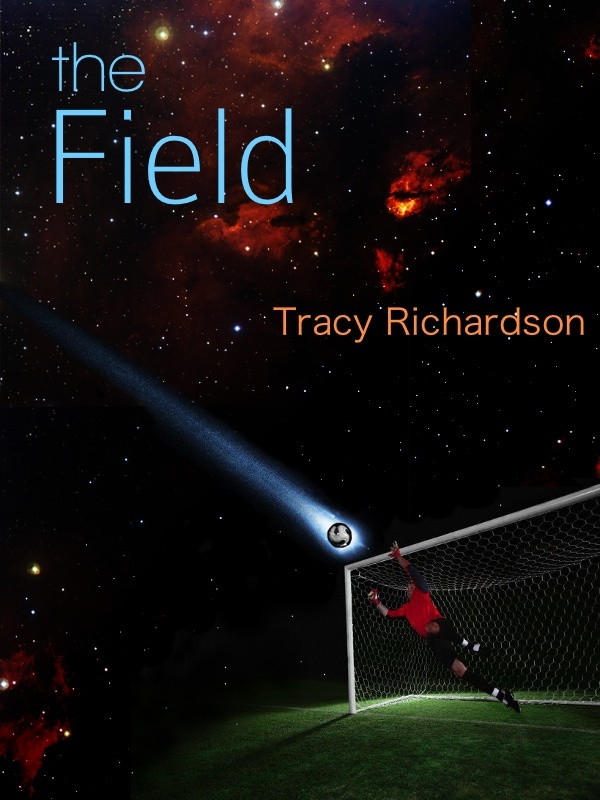 I’m so excited about the cover for my YA novel, THE FIELD coming out this Fall! It’s exactly how I envisioned it thanks to my son, Alex Katsaropoulos, who designed it. I hope that it’s intriguing and makes you want to read the book. Here’s a quote from Laurie Gray, author of MAYBE I WILL (Luminis Books 3/15/2013) and SUMMER SANCTUARY (Luminis Books 5/2010) ~ “The idea behind THE FIELD is a brilliant blend of soccer, science and fiction. True-to-life characters, contemporaty environmental issues, and engaging metaphysical principals skirt the edges of science fiction and magical realism in this modern coming-of-age novel.” I couldn’t have said it better myself. Alex is a talented artist and musician. Check out his website for Air Tight to listen to music he’s written, performed and recorded. It’s amazing! And I’m not just saying that because he’s my son. I’ve listened to it thousands of times (and I do mean thousands of times) as he created it in my basement, and if it wasn’t fantastic, I think I would have gone crazy. You can download it from iTunes, too. He’s working on a promotional deal with an agent as I write this post. Great cover! :) Can’t wait to read it! Congratulations, Tracy! This is a great looking cover—very sharp and eye catching. I’m looking forward to reading the book. You’ve got a talented kid. I visited his website and I especially like the Old Souls song♫. All the pieces have a nice, original sound. I’m a big believer in no regrets. Better to be passionate about what you choose, than to only study for a future paycheck. My son’s a music major, too. Thanks, Marcia! Old Souls is my favorite, too. Where is your son going to school and what is his focus? He’s going for his Ph.D. in musicology at Brandeis.